Now Emily-Rose has organised this Festival with her partner Refik which will be like no other Festival we have had in Australia. 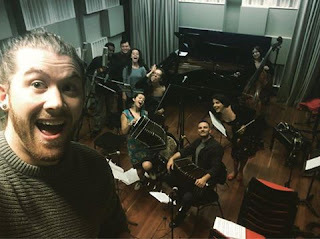 We have had numerous Australian tango festivals over the years, some with tango bands, but the very special thing about this one is that the musicians are home-grown, they are world-class and the orchestra they have formed is incredibly good. This is a new generation taking up tango with a passion! and it is sooo exciting.